Where: Exit Interstate 57 at Rantoul, Exit 250. You’ll stop at U.S. 136. Turn left and proceed left for 1/2 mile to the stop light on Evans Road. Make a left turn and go south on Evans Road. Go 1 mile and turn right onto County Road 2900. Just a quarter of a mile on the right. Signs are posted, and the red barns mark the spot! Hours: In August, visits are by appointment only, Wednesday to Saturday from 10 am-6pm and Sunday from 1-6pm. Hours in September, Wednesday to Saturday from 10am-8pm, and Sunday from 1-8pm. In October, Monday to Thursday from 10am-8pm, Friday and Saturday from 10am-10pm, Sunday from 12-8pm. In November, Wednesday through Saturday, 10am-7pm, Sunday from 1-7pm. Closed Thanksgiving Day. In December, open daily from 10am-7pm. Holiday Hours for 2018: Christmas Eve 10am-2pm. Closed Christmas Day. December 26 through 28, 10am-5pm, closing Dec. 28 for the season. Costs: 10-acre Corn Maze is $8 each, with 4 and under free. After 5 p.m., $9.00 per person. Hayrack rides, pedal race carts and paintball gallery are $3 each per person. 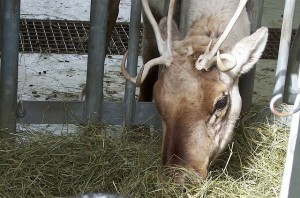 Reindeer tours are $4.00 per person. Concessions are offered during October. Good For: Fall/winter family fun for all ages! Description of activities: Get lost in the corn as your weave your way through a 10-acre maze carved through the cornfields on this ranch. The Corn Maze is set-up so you seek to find checkpoints – usually 10 – along the path. It is very difficult, and you may find that you find the same checkpoint multiple times and/or that you only find less than half of the checkpoints on your list. Just make sure you find your way out of the corn, though. Are you up for the challenge? Check out the Jack Splat pumpkin canon, a gourd gun that will shoot a 10-inch pumpkin a half-mile away, ending in a satisfying thwack. Demonstrations of the pumpkin-chuckin’ machine are typically on weekends in late September and October. After you are worn out from your trek through the corn maze, sit back and enjoy a hayrack ride. A tractor will pull you around for a tour of the ranch while you rest on the hay bales. 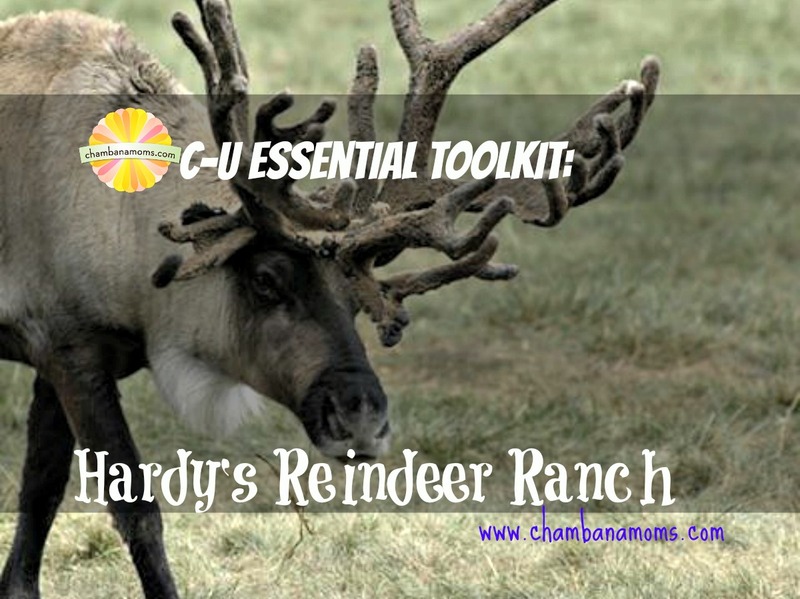 Once you are dropped back at the big red barn, take a short walk to tour the 16 reindeer on site. This is a highlight for many young ones as it is a rarity for central Illinois. Up for some action? Head over to the pedal race cars course and test your driving skills as you race others around a traditional track. Pick out your pumpkins for the season and take them home with you for some carving! In the late fall during the holiday season, pick out a Christmas tree and a take a reindeer tour.